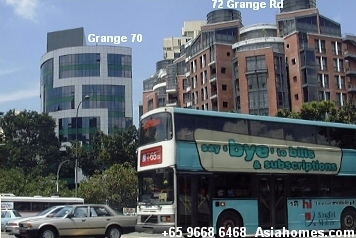 72 Grange Road is the maroon coloured building to the right, just behind the bus which is on Paterson Road, from Scotts Road/Orchard Road. Characterised by extremely large spacious separate living and dining areas and bedrooms with attached baths. Good sized balcony. Freehold. Completed in 1995. 20 units only. Units with FF.-01 face Paterson Road (nosier but brighter and facing 2 new construction projects at Paterson Road). Units with FF-02 face Grange Road (darker as there are other buildings blocking the views). Quite good sound proofing. Interiors: Light coloured Beechwood stripped living and dining areas. Very large. Bedrooms may be carpeted but floor is smooth cement & sand screed unless the Owner has put in parquet flooring. White long baths and shower stalls in master bedroom. All bedrooms have attached bathrooms. Large kitchen. Light brown kitchen cabinets. stainless steel cooker hood, hob, oven, ice-making fridge. 7-min walk to Orchard subway. Buses and taxis at Paterson Road, from Scotts Road/Orchard Road. Rarely do you get such a big condo for $12,000 near downtown. Pool and basement car parking lots. 24-hour security. Advert by Realtor: 72 Grange Road 3+1 luxuriously renovated, bright apartment for rent. Singapore 249574. Near to Paterson Road but apartment sound-proofing is excellent. Marble flooring in the living and dining areas, wooden flooring in bedrooms. White long baths, shower stalls. Private lift. Access to your apartment by card system only. 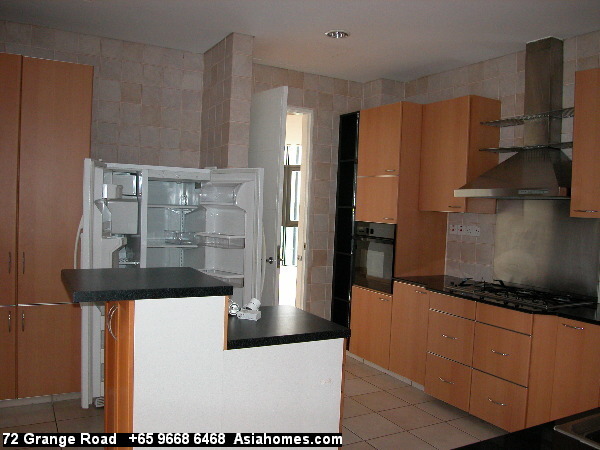 Air conditioned kitchen, open counter and high quality appliances. 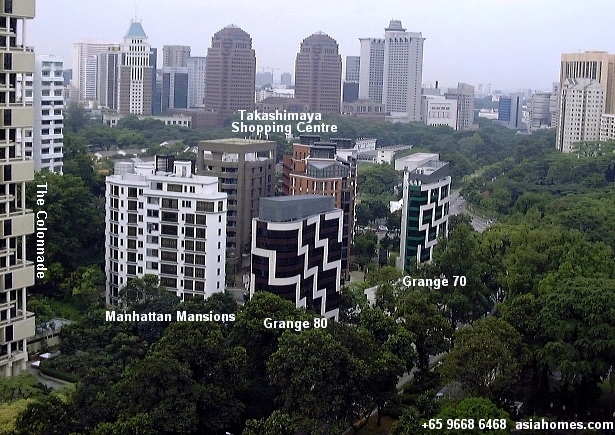 Nestled in the highly prestigious enclave of Grange Road & Paterson Hill within a seven-minute walk to Orchard Road/Scotts Road and the Orchard subway. A 5-min drive to any of the shopping malls (Great World Shopping Centre, Lido cinemas and shopping centre, Wisma Atria, Tang's, Takashimaya Shopping Centre with their Cold Storage and Japanese supermarket, the American Club. Numerous restaurants, cinemas and nightspots. 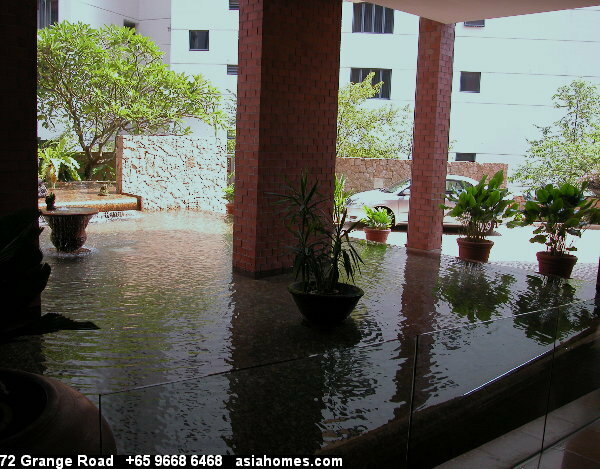 Close to Tanglin, American and Pinetree clubs. just 2 units per floor with a total of 20 apartments ranging from 1,755 sq. ft to 1,981 sq. ft. Each 3 & 4 bedroom apartment is thoughtfully laid-out with a private lift lobby for unprecedented privacy and exclusivity. Grange 80 at 80 Grange Road is also an exclusive 10-storey tower, housing just ten apartments - one residence per floor, with units averaging 2,282 sq. ft. Choice of fully or partially furnished air-conditioned spacious and luxurious leased apartments. Housekeeping services available. Covered car park. 24-hour security. 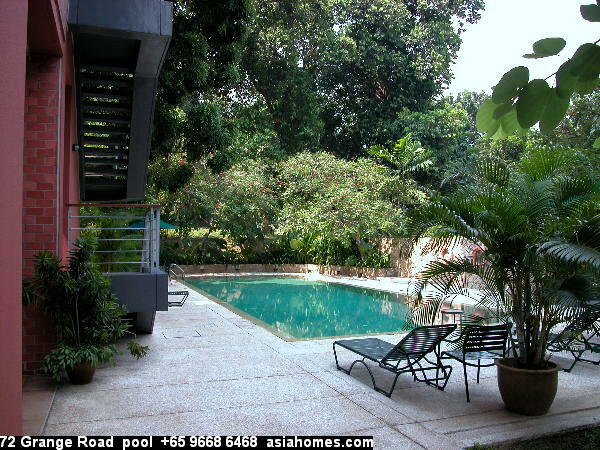 Swimming pool, children's pool, jacuzzi, sauna, steam room, gymnasium. Covered basement car parking. 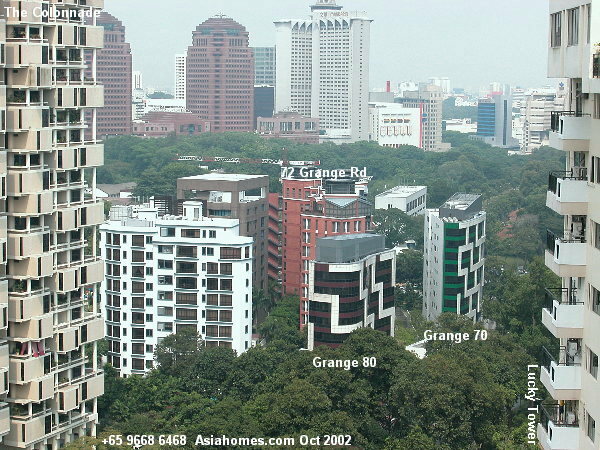 Some units of Grange 70 and 80 may be available depending on expiry of leases of incumbent tenants. TIPS FOR REALTORS --- PART II. Do you have a PMA (Positive Mental Attitude)? "I told him no landlord in Singapore would agree to a 2-month notice to break lease anytime he wanted," said a novice associate realtor confidently to me. I had rented to this Indian expatriate a Costa Rhu Condo at $2,500 with the 2-month notice break lease last year and now he wanted to rent a cheaper condo to take advantage of the Singapore recession. This risk-management expert wanted to rent the best condo at the lowest rent, with the condition of giving 2-month lease at any time. His company, a foreign exchange trading firm in Suntec City was practising this policy too and taking advantage of the desperation of Singapore Landlords in the recession of 1999. When my associate said that no Singapore Landlord would bother with this prospect, I felt sad as he wasn't hungry enough even though he had not many closures despite being given more cases to handle than other realtors. He needed the money for his family. The closing/rental case handled is an indication of the productivity of an agent and 1.5 out of 10 cases closed/realtor/month by any rental agent would be terrible if the rental commissions were around $3,000/case. He will not be able to cover his daily expenses let alone support a family. The reason I was sad was that, within 2 days of referral from me, my associate already knew there would be no such Landlord. There would be Landlords because Singapore had too many new rental condos and many older ones. The novice realtor must possess a PMA, the acronym for a Positive Mental Attitude, to succeed. There were more condos now than a few months ago. New condos blocked by big buildings, low floors without any view, near the expressway or construction or in unfavourable locations. Old condos. Suburban newer condos where no expatriates want to rent. This prospective Tenant did not mind apartments with no view and was realistic that his budget of less than $2,000 for a 2-bedroom might qualify for older condos. He wanted The Mandarin Gardens and The Bayshore Park, both being older developments. He had his own fridge and did not need much furniture and this would be a plus factor. This type of cases would suit a Landlord with a new condo. When you have a prospective tenant, you are much better off than when you represent the Landlord since it is easier to close with a prospective tenant at hand. This is true even in August 2001 when the real estate business, especially sales, is very bad. Singapore Landlords generally do not give you exclusive marketing rights and if they have no time to market themselves, they appoint two or three realtors. You are unlikely to get exclusive marketing rights as a greenhorn in most cases. Think positive. You will be amazed at what you can achieve. Short leases don't command much commission revenue. You can ask the prospective Tenant for some fees, e.g. $500 - $2,000. However, he could find his own apartment then. You sharpen your skills at house-hunting and become more experienced when you are hands on handling "difficult cases". The real estate text books written by successful realtors always say that you should qualify clients. Well, you should. If you have more business than you can handle. Every self-employed realtor dreams of the big accounts, but in real life, they are rarely available till you have gained a sound reputation and get referrals. Or be noticed by the big owners of luxurious bungalows or condos for being a specialist in your niche. You will then be called to help market their big accounts in competition with other big guns. Once you think negatively, you will find your success rates very low. Start looking at how you can satisfy the needs of the "difficult" client. When you have big accounts in time to come, you may pass the "difficult" low revenue producing clients. As a novice, take the low yielding cases and you will find that you gross as good an income as the realtor who handles one or two big accounts. Only that you have to sweat for it with no time off as you will be getting so many referrals. Some of whom are big accounts you hope. The industry's practice is that of 12 months of occupancy with 2 months' notice before the expatriate can terminate the lease or a straight 12-month lease. Therefore many realtors are not keen on servicing prospective tenants who don't pay any commission or demand 2 months' break lease. 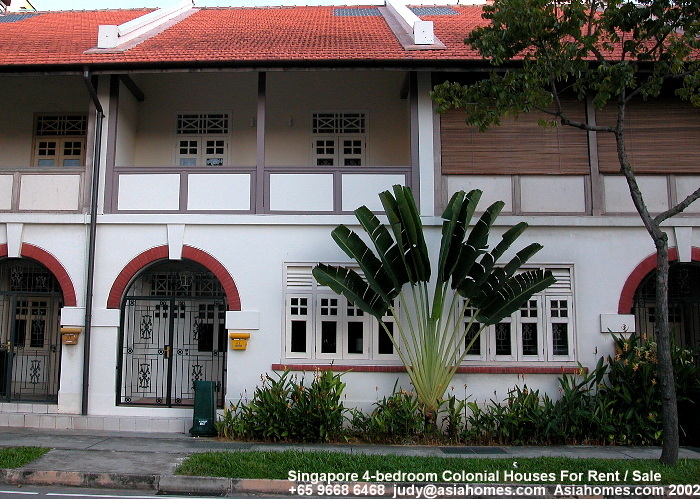 As at November 13, 1999, the prospect moved out from the Costa Rhu condo at $2,000 rent giving 2 months' notice and leased a new Regent Ville condo, off Yio Chu Kang Road/Ang Mo Kio Ave 3 for $1,500 rent and same terms and conditions. The Landlord later gave him some compensation to move out as the he wanted to sell the apartment. He was again looking for even cheaper condos to rent! Obviously, if you don't have better clients, you will disqualify him. However, in starting up a self employed business, the novice rental realtor just has to carry out such money-losing cases, gaining extremely valuable hands on experience and a lot of pain and rejections. If you see every rejection or failure to close in a negative mental attitude (NMA), stop being self-employed and get employed. You start to see racial discrimination and felt that small accounts were not worth the trouble. Yet you did not gain valuable hands on experience handling multiple small account to hone your skills at negotiation to handle the big accounts. Why be self-employed in this case? I remember my first closing was $492 in commission, co-broking a Housing and Urban Development Corporation apartment at Amberville with another agent. I was acting for an Owner. My Straits Times advertisement wiped out all profits. From that experience, I felt that it was better to handle a small account of the Tenant rather than represent the Landlord's small account. In the case of the former, I did not need to spend advertisement money. The only problem is: "how do I catch the prospective tenants?" Some realty firms advertised for "tenants" in the Straits Times but after a while, their advertisements disappear and another new realty firm will do a bit of advertisements. It seems to me that you will need to have real properties for rent in order to benefit from advertisements in the Straits Times. Many big corporations which employ expatriates in the year 2001 have outsourced their expatriate house hunting to big relocation companies which employ numerous expatriate "realtors". An unseen internet providing direct information by passing agents and more depressing news of economic recession in Singapore from August onwards will mean that more older realtors will not be earning an income. Life will become much harder. They just are not comfortable with this new technology of emails, FTP and digital images which they should learn in order to compete effectively with the big relocation companies offering one stop service. Many Internet surfers cruise into asiahomes.com in 2000 and 2001 and I do get business from several senior management expatriates who will never contact me, if not for the power of the internet. Many older realtors will benefit if they can tap the power of the internet and if they want to be self-employed as it is difficult to be an employee once they have tasted the empowerment of being their own boss. I don't blame them as it is real tough to re-educate themselves in the new world of information technology. The more energetic and hungry younger ones and large corporations will slowly overwhelm them as it becomes a survival of the fittest in the 21st century. UPDATE IN 2007. The internet has a great influence in making real estate sales figures transparent in Singapore as the Government tries to stop panic buying when prices shoot up recently in 2007. Personalised services are still in demand but the realtors now have to work very hard as there are more competitors and be internet savvy.